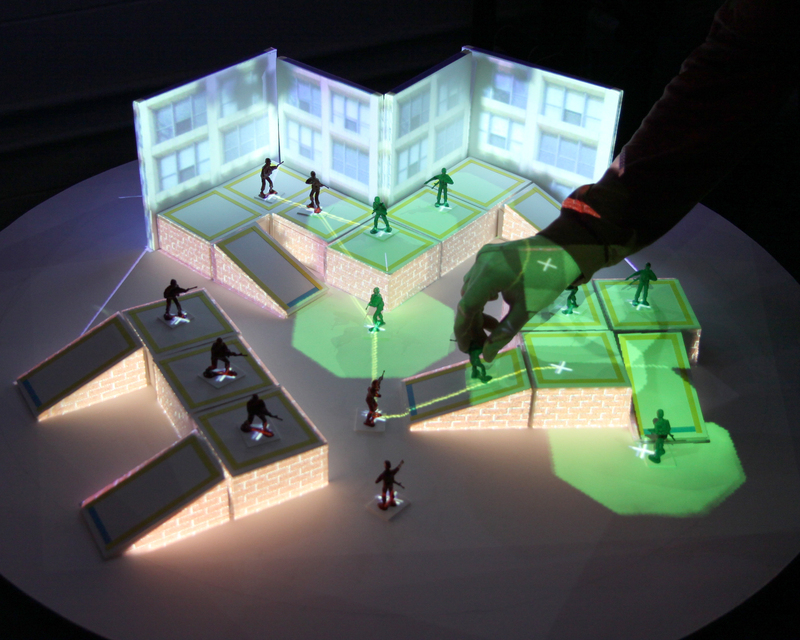 Abstract: We present ARmy, a two-player military strategy game that uses spatially augmented reality to combine physical tabletop games with the virtual elements and computation characteristic of modern video games. 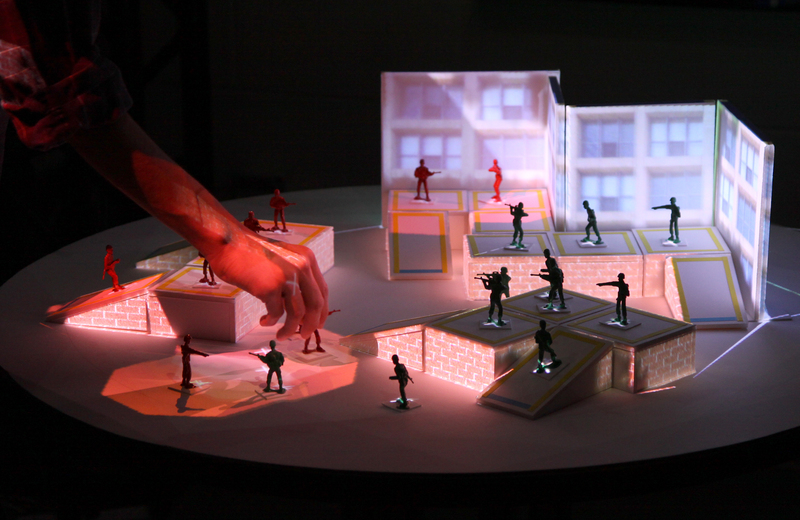 As players move plastic miniatures within a small scale physical environment, the application moderates and augments play by maintaining a 3D representation of the scene, which it uses to validate movement paths and perform automatic line-of-sight calculations for combat. We describe the design and implementation of the ARmy gaming system. Furthermore, we conducted a user study to gauge the effectiveness, intuitiveness, and robustness of the application. We describe the process of this user study, present quantitative data of the study results, and discuss general design principles for the design and implementation of other engaging spatially-augmented games. This material is based upon work supported by the National Science Foundation under Grant No. IIS 0845401. Any opinions, findings, and conclusions or recommendations expressed in this material are those of the author(s) and do not necessarily reflect the views of the National Science Foundation.